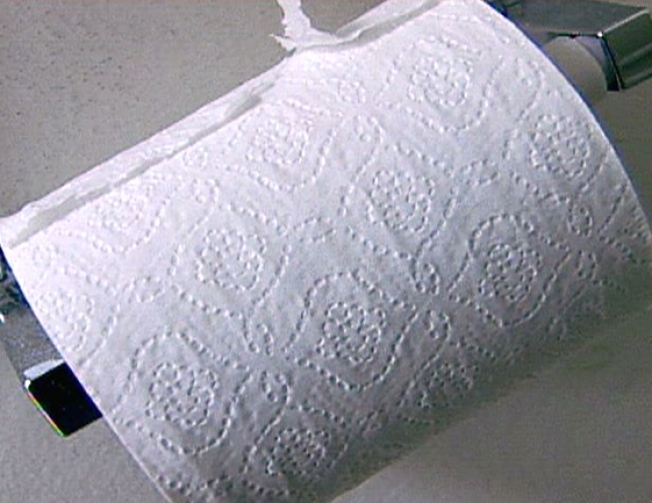 You might think toilet paper is toilet paper, but it's actually made of a whole bunch of other things ... if you go green. The next time you're about to finish your 'business' in the bathroom, smile at the thought that you might be helping to save the environment, one toilet tissue at a time and one tree at a time. The reason? 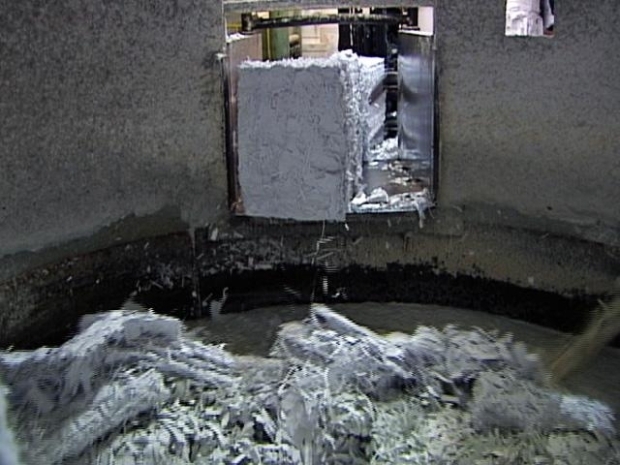 One paper products company in New Jersey uses nothing but recycled paper to make its toilet tissue, paper towels, napkins and regular tissues. The company's name is Marcal(mahr-KAL) and it does all this at its plant in Elmwood Park, just a few miles from Manhattan. "The bad guys cut down all the trees and do all the harmful stuff to it," said Tim Spring, Marcal President, in explaining that none of the raw material his company uses comes directly from trees, unlike virtually all of his competitors. It is close to being "the ultimate green," and not only is it at your supermarket, it is likely the cheapest product in its class. "We gonna save trees, right?" commented longtime employee America Perez as she guided thousands of rolls of toilet paper around a snake-like line of conveyor belts one recent afternoon. While the company has used only recycled paper for more than 50 years, it took a recent trip through bankruptcy for its new owners to realize that they could turn a mundane manufacturing process producing 'value paper products(read: cheap)' into a green marketing line that is still cheaper than its competition. So they did. This past Spring, Marcal took the bold step of re-branding its entire line as 'Small Steps' products. The pitch was to make consumers aware that when they bought 100% recycled paper products, they were helping save the environment. It appears to be working. "People are buying, we are in the black, we're making a lot of money," said Spring, who is actually a turnaround specialist and part owner of the privately held company. But he admits he is also a 'backpacker' as well.